The freezing of Ohio’s renewable energy target has frozen new project investments. A drop in investments in Ohio’s clean energy industry could cost the state jobs, according to industry experts. Matters could be made worse by continuing uncertainty about the future of Ohio’s renewable energy and energy efficiency standards. Earlier this month, the Pew Charitable Trusts released a report documenting the huge growth in investments in Ohio’s clean energy industry in the years following adoption of those standards in 2008. That same report also shows a huge drop after state lawmakers began debating changes to those standards in 2013. The study’s authors expect investment levels will stay low through at least 2017. By the end of 2012, new investments in Ohio’s clean energy sector had grown to roughly 35 times their 2009 level, the Pew report shows. “What we found in Ohio is they’ve really built upon their legacy of manufacturing to become a leader in the production of clean energy technologies,” said Tom Swanson, manager of Pew’s Clean Energy Initiative. By 2013, Ohio ranked first in the country for wind energy components and second for solar technologies, Swanson noted. Jobs in the state’s clean energy industry grew too. A report from researchers at ICF International and Wright State University estimates that by 2012, the state employed roughly 31,000 people in its alternative energy economy. The researchers had prepared that February 2013 report for the Ohio Development Services Agency. However, the agency delayed releasing the report until just two months ago, in November 2014. In the interim, Ohio’s Republican-led legislature made major cutbacks to the state’s energy efficiency and renewable energy standards. Late last spring, Gov. John Kasich signed Senate Bill 310 into law. SB 310 “freezes” increases in the energy efficiency and renewable energy targets for two years, while also scaling back the scope of those standards. In the wake of the legislature’s actions, investments in the state’s clean energy sector have plummeted, the Pew report shows. “Investment has dropped off considerably, particularly in the wind industry,” said Swanson. The federal Production Tax Credit for wind energy ended in 2013, and another 2014 law in Ohio tripled the property line setbacks for commercial wind turbines, Swanson noted. But, Swanson stressed, “SB 310 has really been the main driver of why we’ve seen investment dip.” That’s because of the bill’s “overarching” reach and its impact on local markets. The same holds true for solar and other technologies as well. When components need to travel farther to get to market, businesses face “added costs that can hurt their overall margin,” Swanson said. The Pew report predicts that investment would grow again if the standards resume in 2017 after SB 310’s freeze ends. However, that assumes a “business as normal” case. “This is still very uncertain,” Swanson said. In particular, SB 310 set up an Energy Mandates Study Committee to assess whether the state’s clean energy standards should continue. A majority of the committee’s twelve members voted in favor of SB 310’s freeze and cutbacks. Ongoing debate about whether the standards will continue is likely to keep investment levels down, said Swanson. The Pew report gives “a very good overview of the progress that has been made in Ohio in terms of growing the clean energy industry,” said Ted Ford, president of Advanced Energy Economy-Ohio. The report also accurately characterizes the drop-off in investments from 2013 onward, he said. “There’s been this uncertainty since Ohio’s energy standards came into play,” Ford noted. For primary support in compiling and analyzing data, Pew Charitable Trusts’ Clean Energy Initiative worked closely with Navigant Research, Swanson indicated. That firm has worked for a variety of clients in the electric industry, including FirstEnergy. Plunderbund was cited in just one of 50 endnotes for a statistic from the Ohio Farm Bureau. That statistic indicated that HB 483 would exclude up to 90 percent of the state’s farm land from being able to host wind turbines. Simply stated, companies invest money in order to make more money. And states compete with each other to attract investments. The fewer incentives that public policy provides, the more interest investors will need to earn in order to make their desired profit. And the more uncertainty there is about whether existing policies will stay in place, the greater the amount of perceived risk there is for any investment. “Investors are unwilling to put down a big upfront [amount to] basically help with capital costs if they don’t think the return is going to be there down the line,” Swanson said. Jobs are likely to suffer too, say industry experts. The last jobs report from the Ohio Advanced Energy Economy had shown employment of more than 25,000 people as of 2010. The organization plans to release updated job figures early next month, Ford said. Like the report prepared for the Ohio Development Services Agency, Ford expects the new report will show job growth leading up to SB 310. Yet even the older employment number of 25,000 jobs from Ohio Advanced Energy Economy was about four times more than the total number of Ohio jobs supported by coal mining and coal-powered electric generation plants. The outlook for jobs after SB 310 is much more uncertain, says Ford. Not enough time has passed yet to get a firm handle on how much job numbers will suffer, Ford said. 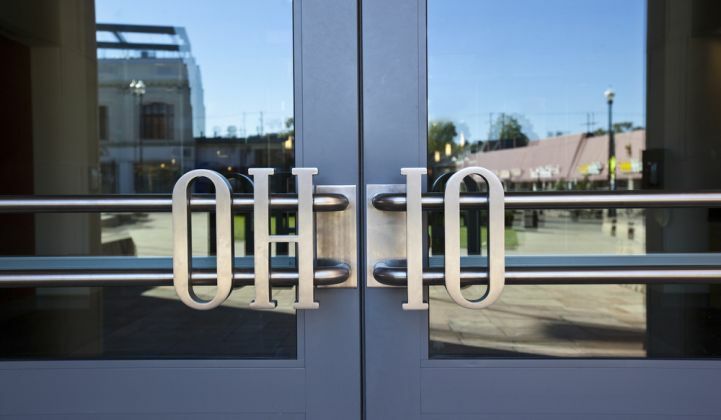 Nonetheless, “anecdotal evidence” from the organization’s members indicates some reduced employment due to fewer overall projects within Ohio. Jobs and investment aren’t the only reasons to restore Ohio’s renewable energy and energy efficiency standards, Ford and Swanson both noted. “The standards actually reduce costs to consumers,” said Ford. Conversely, a report from researchers at Ohio State University had shown that cutbacks to the energy efficiency standards could cost Ohioans roughly $3.94 billion more by 2025. Additionally, the standards could provide a low-cost way for Ohio to meet forthcoming carbon emission limits for power plants. The U.S. Environmental Protection Agency proposed those limits last year as part of its Clean Power Plan. “Efficiency can play a really big role in helping reduce carbon emissions in Ohio,” Swanson noted. Until the state decides if it will take that path, however, Ohio’s policy uncertainty continues -- along with its impacts on investments and jobs. “Energy policy has been very volatile,” Ford said. And, he noted, flip-flopping on energy policy -- as the state did last year -- raises doubts about what the future will bring. Kathiann M. Kowalski is a writer for Midwest Energy News. This piece was originally published at Midwest Energy News and reprinted with permission.